You’ve been hearing a lot about rental returns lately. Over the past few years, it’s where property investors have been putting most of their attention. And along with this investment shift (from capital gains to income), you’ve also heard a lot of claims about returns… claims that may sound exaggerated. In fact, good returns are achievable in quite a few markets. But the truth is that they don’t come easily. To make a respectable rental return, you’ll need more than your checkbook and a desire for money. I’m currently renting three rental properties, and, over the years, I’ve found a few critical factors that make the difference between good rental returns and weak or nonexistent returns. First, however, let’s take a look at why you should even bother trying to operate a rental in a foreign country. Here are a few items that I find to be key advantages. Your property abroad is a hard asset. Less than 10% of the money that exists is physical currency. The rest of the money supply is really just a concept—an idea—with no intrinsic value. It can disappear or diminish in value, and you’ve got nothing to show for it. On the other hand, hard assets always have intrinsic value, so they are a safer long-term store of wealth. An overseas rental property also gives you an international footprint. This provides you with another level of portfolio diversity and possibly currency diversity. Often, it can provide you with residency in the country where it’s located. It’s a lot more fun that Fidelity. Granted, you can buy dividend stocks or mutual funds to generate income and manage them from your computer at home. But, in my experience, managing a property abroad not only produces a better return than I’m getting from paper financial assets, but it also provides a great travel and cultural experience. After all, managing a property abroad is more than investing… it’s a lifestyle. And it’s one you’ll never find from your desk at home. Know your client. In my experience, rentals that target a specific clientele will outperform those that don’t. My favorite rental client is a long-term business traveler or executive, which brings two criteria to the forefront. First, you need a property where business travelers want to be, in a city’s business or commercial center. And you have to outfit it for the business traveler, with quality finishings and services, like a good desk and workspace, a good printer, and fast Internet. Other types of rentals you might consider are vacation rentals or long-term, unfurnished rentals. I have a friend who does quite well with vacation rentals in Puerto Vallarta, Mexico, and Coronado, Panama. Another friend is making good returns on unfurnished rentals in Cuenca, Ecuador. Each market has its own niche. Pick the right location. We’ve all heard the old real estate adage saying that the three most important things when buying a property are location, location, location. But it’s 100% true; if you botch this one, nothing else matters. The right location depends on knowing your client, but, once you know where the client wants to be, the location’s fine points will make or break you. I have a rental apartment in Medellín that’s located about a four-minute walk from the sought-after Parque Lleras and a two-minute walk from the sought-after Golden Mile. It’s walkable to everything, from the supermarket, to dozens of restaurants, to the gym. My occupancy is close to 100% even though the apartment is much larger than the ideal rental and the building has few amenities. The location trumps everything. Don’t buy more property than you need. It’s easy to confuse the ideal second home with the ideal rental property. And the first way this manifests itself is when you buy too large. The smallest rental is the best rental, if it meets your clients’ needs. It keeps your purchase outlay low and thus increases your return. Find a good property manager. I like to say that a good property manager makes the difference between a hassle-free income and a stressful nightmare. In fact, even with the best of properties, your property manager will make the difference between a good performer and a dog. I wrote a fairly comprehensive essay on finding a good property manager a while back. Follow the link to learn more about finding a good property manager for your overseas rental. Be exacting with the furnishings and photos. The manager who operates two of my properties pointed out something that I should have known all along; no matter how awesome your property is, it’s no better than how it looks on the manager’s website. That’s because almost 100% of the clients choose a property based on the website photos. If your pictures don’t sell the property, it doesn’t get booked. So make sure you furnish your property with quality furniture that conveys an uncrowded, neat, spacious, and up-to-date look. Don’t go overboard hanging things on the walls, and forget the knick-knacks and other clutter. Again, tailor your furnishings to your target client. And, once that’s done, have the property professionally photographed, preferably by someone who has experience with real estate photography, if they’re available. I was skeptical of this step at first, believing that my photos were pretty good. But I became a believer when I saw the pro’s photos. Even in a good market, good returns are certainly not a given. The people who get the best returns are those who go that extra mile to give themselves an advantage over the next guy. Thanks for the info about inheritance laws in other countries. I bought a building lot in Belize that will be under my LLC from Nevis. I also bought a parcel of land in Brazil in my own name, prior to having the LLC. 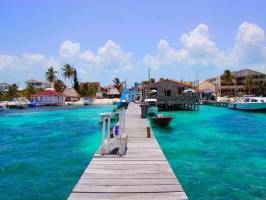 Do I need an in-country will from Belize and Brazil in addition to the one I have in Canada? I’m thinking of transferring the property in Brazil to the LLC so that everything is under one umbrella. Please advise the pros and cons of doing this. In Belize, you’re all set. Your Nevis LLC will own the property no matter what happens to you personally. As long as you’re happy with the succession plans that are within your LLC, you’ve got the ideal situation. In Brazil, however, I’d execute a will. Then tell your heirs that it exists and who the executor is. I don’t think transferring your Brazilian property to an LLC is worth the cost and hassle when you consider the ownership transfer fees and the significant overheads involved in recognizing and maintaining your LLC in Brazil. Thank you for your newsletters. I really appreciate the current “state of affairs” information you provide. Currently, I live in California and will be retiring in six years with a pension from our state’s teacher’s retirement system. I plan on living abroad after retirement, most likely in Mexico. I have been trying to get advice on how taxes work when I am living abroad on a teacher’s pension. The advice I have been getting is very inconsistent. Can you recommend a person or a website where I can find information about taxes while living abroad? In your new overseas destination, consult with a local attorney to figure out your tax obligations to your host country, if any. You’ll still need to file a U.S. federal tax return while living abroad, as long as you’re a U.S. citizen. You may however, enjoy significant tax benefits as an overseas resident, such as the foreign-earned income exclusion, which can save you a huge sum. But California is a problem that needs to be addressed. It’s almost impossible to give up California residency when moving abroad, so their exorbitant tax rates will follow you forever if you’re not careful. As a nonresident, California taxes only California-source income. The trick is becoming a nonresident. Most states accept proof of residency abroad, but California often refuses to let go. As stupid as it sounds, one proven way to escape California is to establish residency in another state before moving overseas. Washington and Nevada are good choices for Californians because they have no state income tax. If a California resident living abroad has only a California pension and Social Security, this step won’t make much difference. The California income is taxed no matter where you are, and they don’t tax Social Security. But if you’ve got an out-of-state pension, earned income, an IRA, or a 401(k), then it’ll be worth your while to establish a non-California residency. State tax rates go as high as 13.3%. Our expat tax expert is Vincenzo Villamena, and you can reach him here.